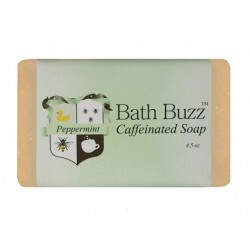 Bath Buzz Caffeinated Soap is peppermint scented soap infused with 2400 mg of caffeine. Bath Buzz's caffeine soap contains as much caffeine as 24 cups of coffee. You stumble to the bath room still half asleep, turn on the warm water, and slip into the shower. You grab the Bath Soap Caffeinated Soap and immediately your pulse quickens. The refreshing aroma of peppermint fills your nose and you already feel more awake. With each lathering of the soap the caffeine is released and begins to work it's magic. Within minutes your skin is refreshingly clean and you're energized for the day ahead. The combination of peppermint scent and 2400 mg of caffeine awakens and energizes. 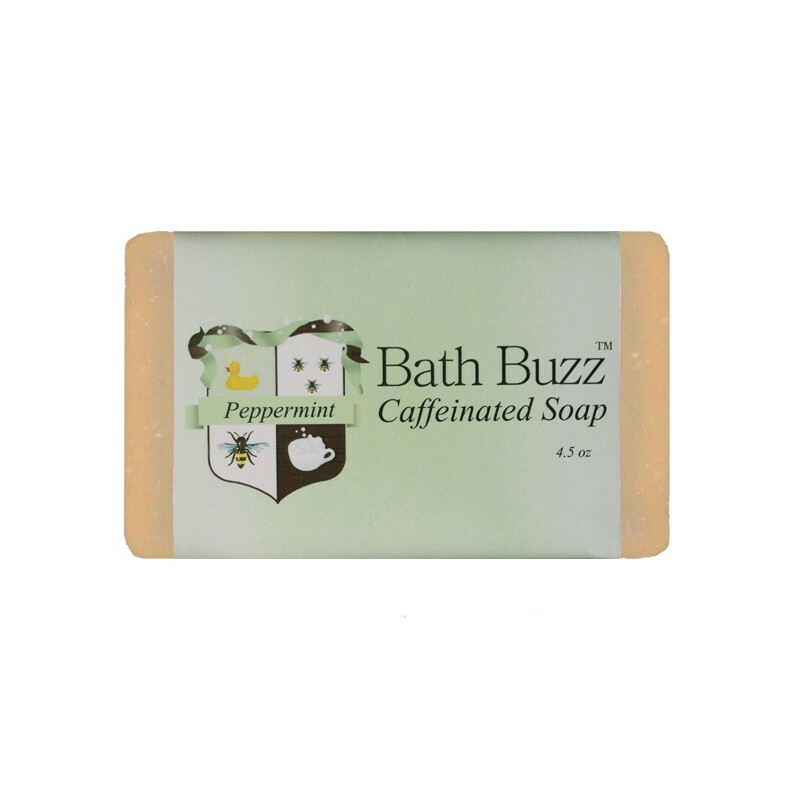 Bath Buzz's caffeine soap is the caffeine before your morning cup of coffee!